The Shimano SH-RC7 is a high-performance offering for road cyclists running the gamut from recreational rider to dedicated racer. A synthetic leather upper features Shimano's Surround wrap technology combined with perforated dimple vents to offer a glove-like fit that's free of pressure points, and it's secured with a lower hook-and-loop strap and upper BOA dial for finely tunable tension that can be easily adjusted on the fly. The ultra-rigid carbon midsole provides unwavering power transfer, which can be fully utilized thanks to Dynalast shaping that keeps feet in the prime pedaling position. Also available in a wide width version the RC7E. I initially bought a pair of SIDI Genius 7 road shoes since I have only used SIDI for my mountain biking and found them to be very comfortable. The SIDI Genius were exceptional except for one problem- The Cleat adjustment in the sole did not allow me to place the Cleats far enough backwards. I wanted the place the cleats as far back to allow proper alignment on the pedal. Most carbon soles only have 3 holes without any fore-aft adjustments. The biggest advantage for me was the Fore-Aft adjustment on the Carbon Sole. 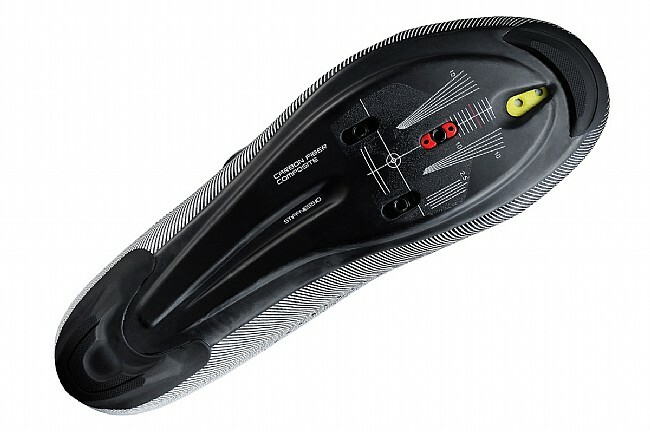 It allows you to adjust the cleat placement a lot more than many other carbon sole shoes. If you want to place your cleats farther back for more power transfer, then this shoe will allow you to do this. I've worn these the last four months now, so really broken them in and got used to them. I'm writing a review in part because of the review that complains about the lip. The lip is very close to the buckle, but for me at least this has been no problem. My first ride was 3 hours and I had no discomfort. Since then, they've been great. 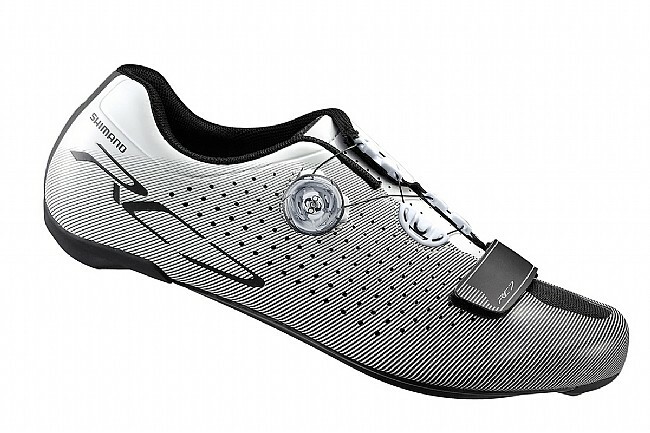 The shoes feel very tight to the pedals, so there's a wonderful power transfer, and they are very aero. I'm really happy with these shoes. Also, from my experience, they run 0.5 size big. I went from a 42.5 to a 42 with these. I had to return my original order to do so, but that's never a problem with BTD. Great service. These are wonderful cycling shoes approximate 500 miles in them. Wider toe box than my Sidi's and Mavic's which I find more comfortable. I feel more pedaling efficiency (as proclaimed) with these shoes than previously mentioned shoes. The lining is very plush adding to the comfort. The adjustable placement for the ratchet buckle across the top of your foot really helps dial them in, so make sure you try both settings. It was tough not buying the 321's since I paid more my Sidi's but I wouldn't have been able to take advantage of the moldable insole, so the 171's made more sense and are working out great.